Giving with the Community Foundation is easy and flexible! The following steps will help you and your client get started. Step 1: Determine who or what will benefit from your client’s gift. Your client may want to help improve facilities at an area animal shelter, promote the importance of a clean environment, support cancer research or aid in the protection of civil liberties, just to name a few. The possibilities are endless! Step 2: Determine if your client wants to contribute to an existing fund or create a fund of their own. There may be a fund already established at the Community Foundation that is serving the purpose of the gift, and it may be possible to contribute to the fund. However, your client may prefer to create a new fund. The choice is theirs. View a list of the existing funds. Step 3: Determine how much your client would like to contribute. If a contribution will be made to an existing fund, then there is no minimum amount required. If your client wants to create a fund of their own, then the minimum contribution is $5,000. This amount can be built over a five-year period. Step 4: Contact the Community Foundation. The Community Foundation can answer your questions, suggest giving options and provide the necessary forms for your client’s chosen method of giving. Contact our office for more information. The information provided here is intended for qualified legal, accounting, and/or financial advisors.  The Community Foundation of Greene County, PA, strongly encourages others to seek counsel from a qualified professional prior to implementing these concepts into personal gift planning and/or philanthropic activity. For more information, please contact the Community Foundation at 724-627-2010. 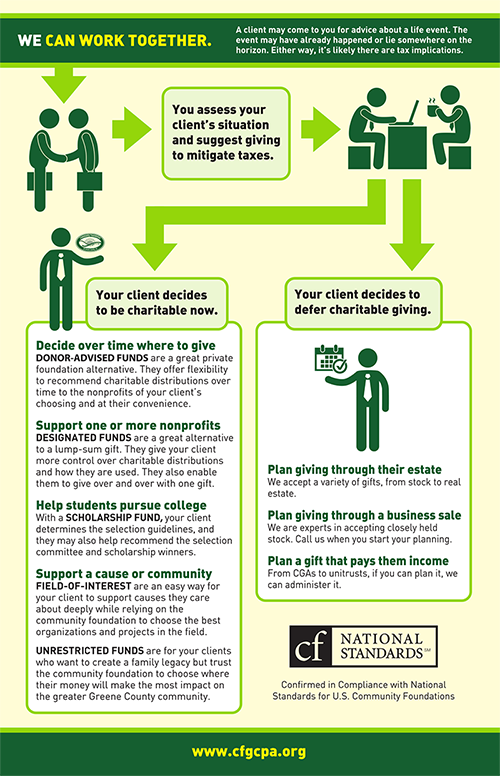 To determine the method, or mix of methods, that make the most sense for structuring a gift through the Community Foundation of Greene County (Pa), this information should be reviewed with a competent financial, tax or estate planner. The Community Foundation of Greene County (Pa) does not actively seek donations from outside of Pennsylvania. All information on this website related to seeking donations to The Community Foundation of Greene County (Pa) is void where prohibited by law.